The ability to print documents has been available since version 1.12,1 and the feature has not changed since then. 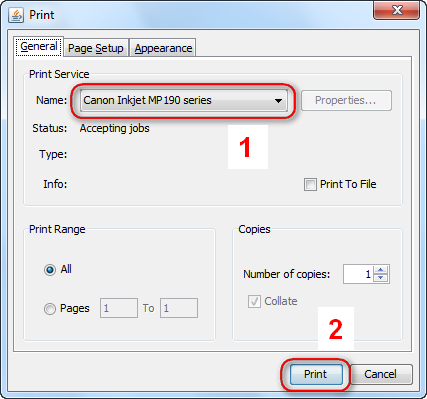 Printing on both sides of the paper can be achieved by selecting "Duplex" from the Appearance tab. Landscape mode prints documents sideways onto the paper, which might be useful when printing off long lines of code. It can be enabled from the Page Setup tab.